A Cosy and Comfortable Stay with Easy Accessibility to Key Spots of the City. Hotel Golden Heights is located in Plot No. C 1028A, Opposite Shri Makhan Sweets, Sector 7, Ramphal Chowk, Dwarka, Delhi. The hotel is also situated at a close distance to famous tourist spots such as ISKCON Temple, DLF Cyberhub and National Rail Museum. The princess park sector 7 bus stop is located quite close to the hotel as well. The hotel carries with it a sense of simplicity, with understated bedding and wooden furniture. 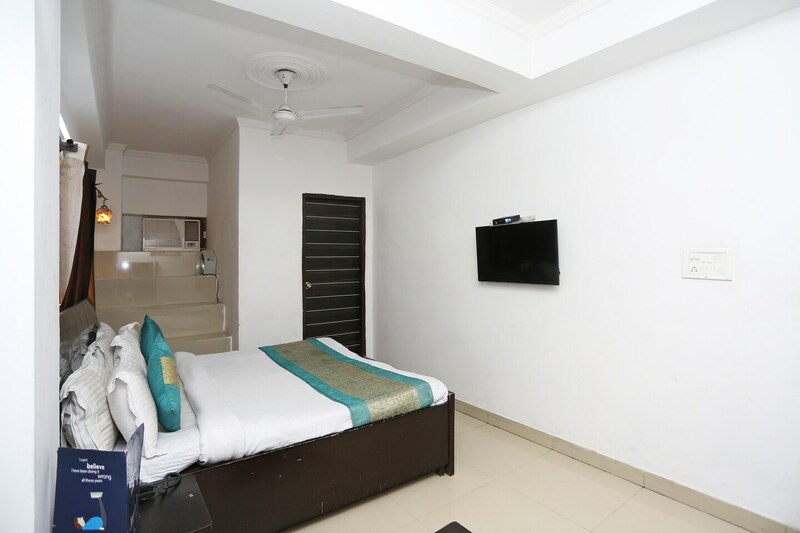 The hotel is equipped with amenities like CCTV Cameras, geyser, laundry, free WiFi, AC and TV. The hotel is located close to many famous food outlets such as V.N Family Restaurant, KC Restaurant, Pasta Xpress, The Bake Shop and Rolling Ice.